The Brazilian Shorthair is a medium-sized cat of great agility. 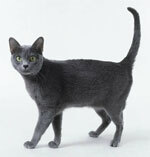 The breed can be distinguished from the American Shorthair by its sleek and elegant appearance. 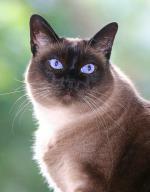 Yet, cats of the breed are not as thin as the Siamese. The coat is short and close to the skin and comes in a wide variety of colors and patterns. The space between the eyes should be equal to the size of one eye. Brazilian Shorthairs have dramatically expressive eyes. They are longer than they are tall. Males have bigger heads than females. The Brazilian Shorthair Cat had its beginning when the engineer Paulo Samuel Ruschi, a cat breeder and founder of the first Cat Federation in Brazil and the first Cat Club in Rio de Janeiro, had the idea to transform certain cats found in the streets of Brazil into a purebred cat. He focused on the Iberian Peninsula cats, brought to Brazil by the Portuguese in their ships around 1500 A.D. From North to South of Brazil, commissions were created by Dr. Paulo Ruschi to study this animal in all of the country's parks and streets. After long years of experimental breeding program led by traditional breeders, the Brazilian Shorthair was finally approved by the World Cat Federation, with headquarters in Germany, as a Pure Breed cat. 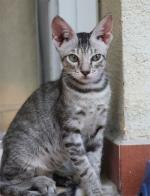 Nowadays, the Brazilian Shorthair cat can participate in contests all over the world. Medium-sized and muscular body, yet elegant. Tail should not be broad at base, and should slightly taper in the tip. 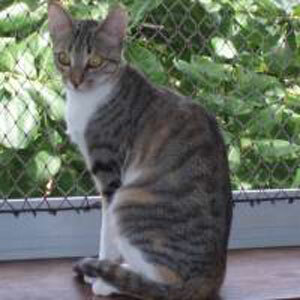 Brazilian Shorthair cats have a slightly curved profile and large, pointed ears, and large, rounded eyes with colour that resembles the coat colour. The coat is short, with no undercoat, silky and glossy. Almost all colours are accepted. Its origins can be traced back to the streets of Brazil. Since going from a feral cat to a purebred, this breed has changed dramatically. This is not the first breed to be developed from street cats, as the American Shorthair, European Shorthair, and American Keuda all show. In 1500 A.D., when the Portuguese arrived in Brazil for the first time, they brought with them felines descended from the Felis Iberia, to protect food from rodents. 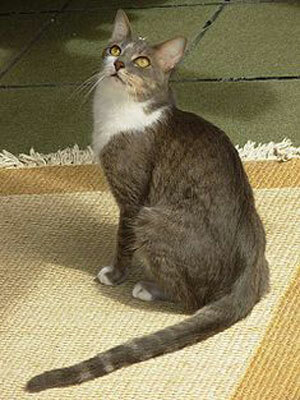 Those cats represent the founding lineage of the Brazilian Shorthair cat. After 500 years, breeding between Brazilian native felines and those brought by the Portuguese created the beautiful, loving, healthy Brazilian Shorthair purebred cat. Engineer Paulo Samuel Ruschi was the founder of the first Brazilian Cat Federation, known as FBG - Federação Brasileira do Gato; founder of the first cat club in Rio de Janeiro, then named Clube Brasileiro do Gato do Rio de Janeiro; and the founder of 7 other cat clubs in Brazil. In 1988, Paulo Samuel Ruschi and his friend Anneliese Hackmann, from Germany, founded the WCF – World Cat Federation, at the time consisting solely of clubs created by the two of them, but now the largest federation in the world. The Brazilian Shorthair project is managed by the BSICS – Brazilian Shorthair International Cat Society, which has headquarters in New York City and is member of the WCF (whose President is Paulo Samuel Ruschi). 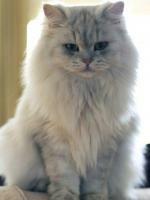 Several Brazilian Shorthair breeders have taken Paulo's creation to pursue the dream - now reality - of the unique Brazilian Shorthair as a purebred cat. One of the most important of those breeders is Mrs. Sylvia Roriz de Carvalho, a well-known veterinarian, painter and cat breeder, whose Cattery Syarte has been breeding the Brazilian Shorthair for more than a decade. Several other breeders followed in her footsteps. Now, in all WCF Cat Shows in Brazil, you can see Brazilian Shorthairs whose lineage traces back to several generations - not from feral cats anymore - competing side by side with other well-known breeds. 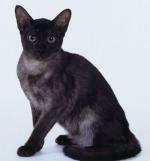 The Brazilian Shorthair has been shown and cited by several magazines in many parts of the world, such as Japan, Germany, England, Australia, USA etc. Despite this worldwide success, there are still very few Brazilian Shorthair breeders in its native country. 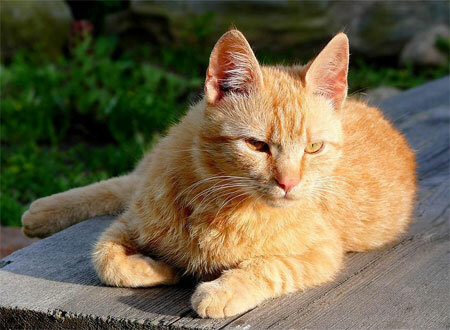 The breeding of random street cats has been met with much opposition among animal rights activists and professional cat breeders. 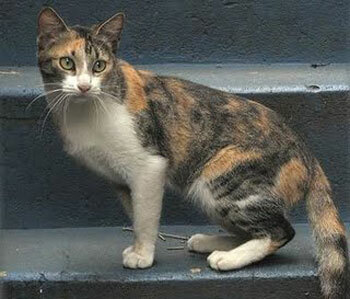 The United States currently has the largest population both of Brazilian Shorthair cats and their breeders.